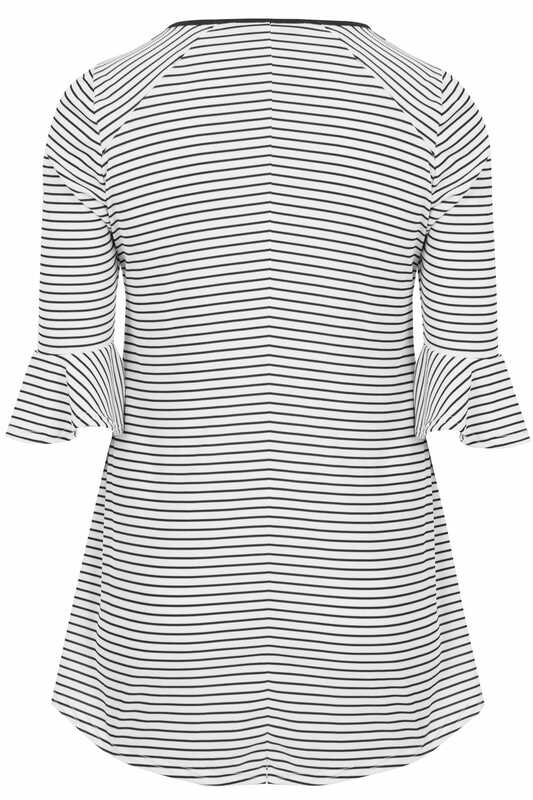 This stylish swing top is a wardrobe must-have. 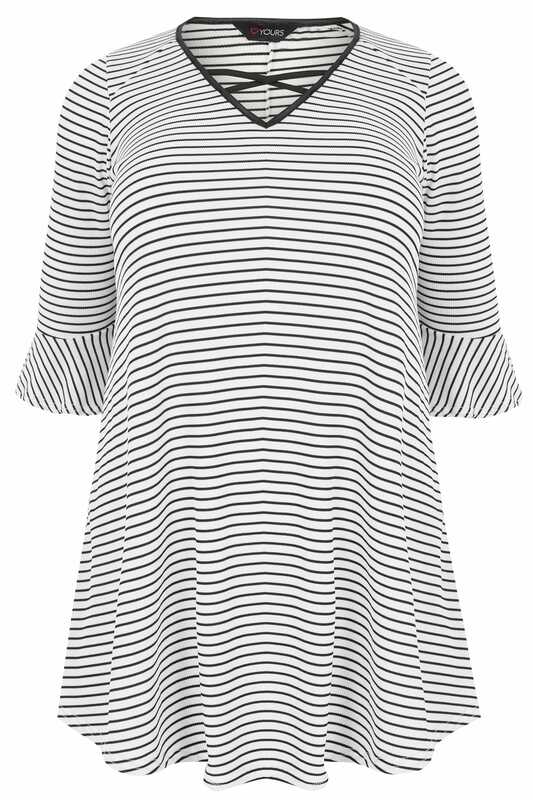 Boasting an on-trend striped print, it features a lattice style v-neckline and flute sleeves. Team with skinny jeans and pumps to complete the look. Details are everything this season, we love the lattice neckline!